Andre has been working within the banking and finance industry since 1999 and has been a Financial Consultant with AXA Advisors since 2012. He has concentrated his practice on employing strategies tailored for individuals and small business owners dealing with wealth management, retirement planning, and estate planning. 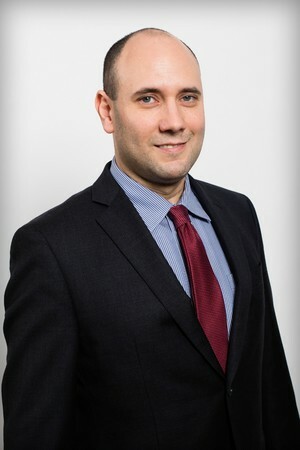 He has the ability to offer a wide range of financial services for his clients, which includes insurance, annuities, stock, bonds, and mutual funds. Prior to joining AXA, Andre spent 7 years in Large Institutions such as Banks and broker-dealers working in the areas of financial planning and retirement solutions; and 5 other years working as Vice President of a Private Company owned by his relatives. Andre holds the series 7, 66, and 24 registrations. He also holds the state of Florida life insurance and variable annuity licenses. Andre earned a Bachelor’s degree in Business Administration from Fundacao Getulio Vargas in Sao Paulo, Brazil. He currently lives in Longwood, FL with his wife Yamila and his loved son, Leon. In his spare time, Andre enjoys the arts, cinema, tennis, soccer, and reading. The approach of Wealth Management Strategies is to help you build a plan that is custom-tailored to your personal goals, needs and individual situation. Andre's team will help you to focus on what's most important to you, to pinpoint your financial objectives, and to identify specific strategies to help you strive toward turning your dreams into realities. Andre Gucailo is a registered representative who offers securities through AXA Advisors, LLC (NY, NY 212 314-4600), member FINRA/SIPC. and is an agent who offers annuity and insurance products through AXA Network, LLC. AXA Network conducts business in California as AXA Network Insurance Agency of California, LLC, in UT as AXA Network Insurance Agency of Utah, LLC, and in PR as AXA Network of Puerto Rico, Inc. Investment advisory products and services offered through AXA Advisors, LLC, an investment advisor registered with the SEC. AXA Advisors and AXA Network are affiliated companies and do not provide tax or legal advice. Representatives may transact business, which includes offering products and services and /or responding to inquiries, only in state(s) in which they are properly registered and/or licensed.